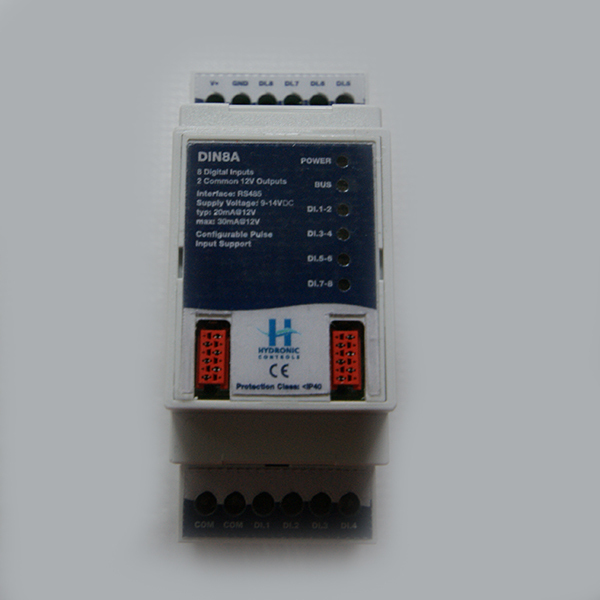 DIN8A digital inputs module - Hydronic P. Co.
DIN8A module brings 8 integrated Inputs and 2 Common 12V powered Outputs. The Outputs are used to power in a desired external contact and return back with the common voltage to each digital Input. 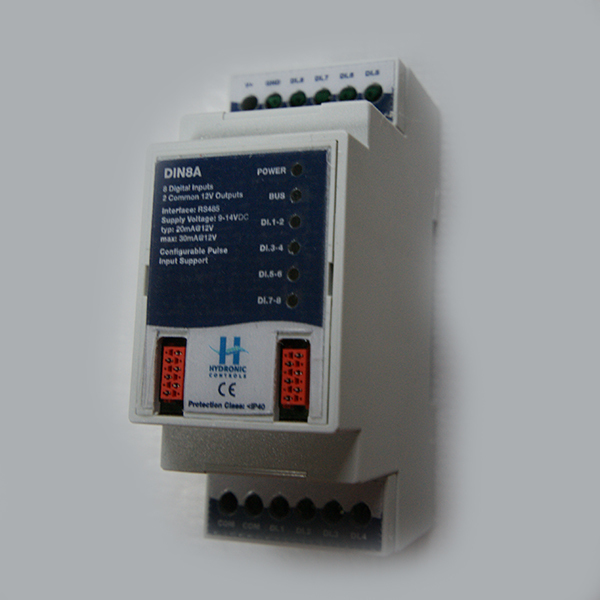 The typical usage refers to relay type contacts.